Corruption throughout Bulgarian government and police is virtually under no threat of prosecution and is part of society, according to an analysis of the private US intelligence company Stratfor. The report was prepared in 2008 and last updated in June, 2009. It was released Tuesday by the whistle-blowing site WikiLeaks and its official partner for Bulgaria – the site for investigative journalism Bivol.bg. 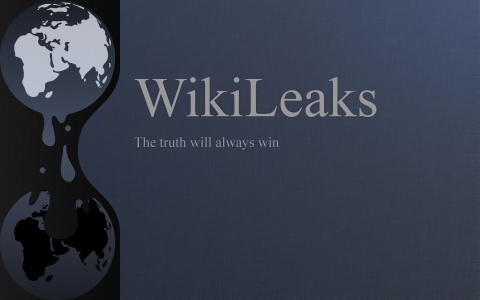 On Monday February 27, 2012, WikiLeaks began publishing The Global Intelligence Files, over five million e-mails from the Texas headquartered "global intelligence" company Stratfor. The e-mails date between July 2004 and late December 2011. The company maintains and periodically updates assessments for countries that represent interest to investors – one such study is the document in question, dating from 2008, which has the form of a questionnaire with a five-point scale. The most chocking information on Bulgaria is found under the Crime section where Bulgaria is labeled a hub for prostitution, human trafficking and drug rings; a country where organized criminal groups are active and influential. Organized crime is invasive and plays a strong role in government, and business operations. Port, land transportation and cargo security is inexistent, and continual smuggling and other crimes, are virtually unreported or unaddressed with cargo theft, occurring frequently, almost always including violence, and being considered a significant disruptive problem for the supply chain. Corruption throughout Bulgarian government and police is virtually under no threat of prosecution and is part of society. Organized crime controls all or complete segments of the supply chain. According to the summary of the report, the political environment is relatively stable, but the governing coalition often contends with uncooperative nationalist parties. The regulatory environment is highly bureaucratic and lacks transparency, which encourages corruption. The analyst writes that Bulgaria joined the European Union at the beginning of 2007 and reformed its judicial and regulatory sectors in anticipation of membership, but much work remains to be done -- and just because changes have been adopted does not mean they will actually be implemented. Investors can find some good news in the sections Terrorism and Insurrection, Natural Disasters, and International Frictions - the threat of terrorism and insurrection is low; flooding along the Danube remains the greatest natural risk and has been known to cause severe property damage; earthquakes occur, though infrequently, and Bulgaria has little potential for friction with neighbors and other countries. However, the report stresses that transportation and disaster-response infrastructure need modernizing; as do energy supplies, and maritime, river, road and railroad communications. Labor unions are not expected to create problems with approximately 19 percent of the labor force being unionized, and a membership that continues to decline. The unions prefer to negotiate and to lobby. Strikes are infrequent, and key public employees are prohibited from striking. However, the financial crisis and the subsequent budgetary cuts could prompt a dramatic increase in labor unrest and action over the next year. NGOs tend to focus on economic and development issues, as well as funding transparency. Though they are active, they do not wield much power in politics or the regulatory environment. Financial crisis could also precipitate greater NGO activity, particularly among the ones that place anti-globalization issues high on their agenda. The overall impression from the report is that Bulgaria is a country with Third World infrastructure, a State structure that benefits bureaucrats and corrupt politicians, ruled by the mafia, without an active civic society, and some advantages such as lack of wars, terrorism, and earthquakes, Bivol concludes. The original Stratfor documents can be found HERE.